Do dogs need to get their vision tested? Prisca did. 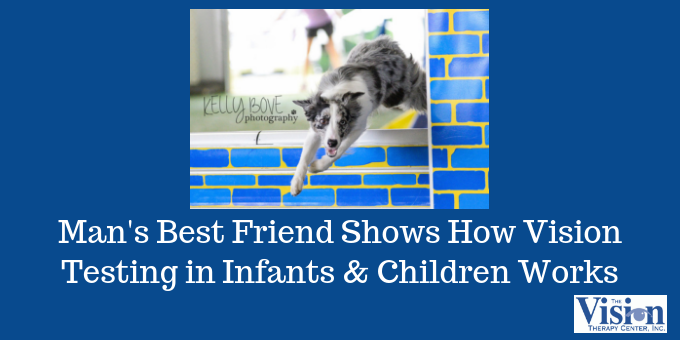 Her testing not only revealed a functional vision problem, but also serves as an example of how we can find similar undetected issues in infants and children.Angela Dotson knew something was wrong with her border collie Prisca. 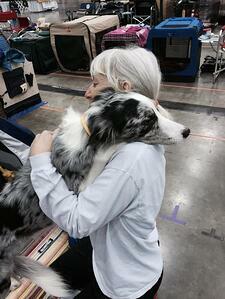 Angela has been an agility instructor for dogs for over twenty years. 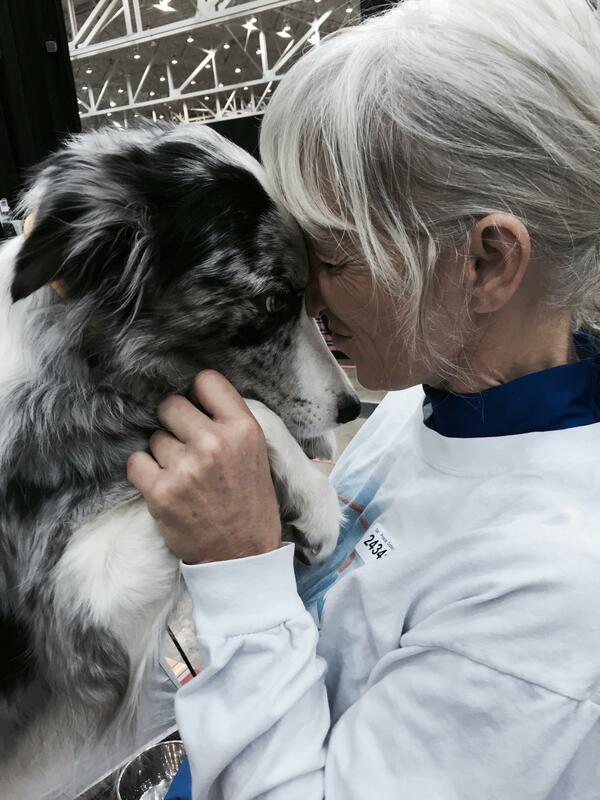 When her own dog, Prisca, began competing in agility competitions, Angela knew she had something special. “She was absolutely amazing,” she said. However, around the age of 3, Prisca started to have subtle jumping issues. She became very uncomfortable, and her performance suffered. Angela knew something was wrong. She would quickly learn that identifying exactly what was wrong would not be an easy task. Like so many parents whose children have vision problems, Angela could not find answers to Prisca’s declining confidence. She consulted with many medical sources, and no one could clearly diagnosis the problem. However, there was consensus that Prisca’s problems were likely the result of her difficult birth. “She was stuck in the birth canal, in breech position, for 1.5 hours,” Angela said. Exactly what the traumatic birth had caused was not clear, but one coach thought it might have affected Prisca’s vision. The coach had corresponded with a pediatric ophthalmologist in Texas, who said that the dog might be suffering from poor depth perception. But still, there was no definitive diagnosis. Then Angela heard The Vision Therapy Center in Wisconsin was conducting vision screening on dogs. “When I heard about the testing, I said ‘I’m going!’” Angela recalled. What caught Angela’s eye about The Vision Therapy Center testing was that it involved functional vision testing, which included measuring depth perception. Functional vision is how your entire visual system -- the eyes, the brain, the visual pathways -- work together to help you interact with your environment. Functional vision includes the visual skill areas of eye teaming, eye focusing and eye movement. For example, in a properly functioning visual system, both eyes focus on the same point on an object. The brain then combines the two separate images from the eye into one single 3D image. This gives you depth perception. But how in the world can you test a dog’s depth perception? Angela and Prisca would soon find out. When people think of vision testing, they usually picture someone reading the lines on a Snellen eye chart. Prisca is an amazing jumper, but not much of a reader. 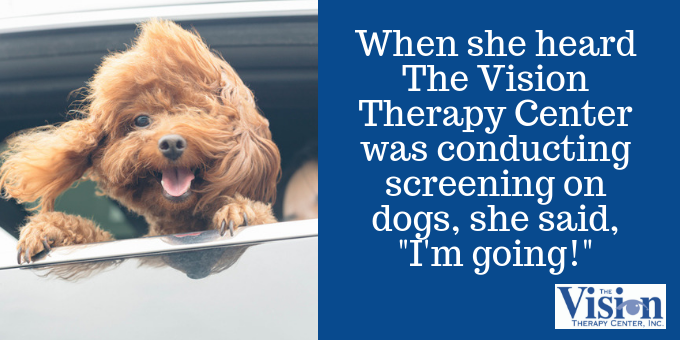 How would The Vision Therapy Center test a dog? A functional vision test is very different from a vision screening that a child might receive in school. Those types of screenings, in which an eye chart is used, test for visual acuity, or the ability to see an object clearly. Testing for functional vision is different. It involves testing how your visual system works with objects in space, such as a jumping hurdle or a ball flying through the air. By observing the behavior of the eyes and how someone interacts with objects, a developmental optometrist can diagnosis a functional vision problem. You’re not asking a patient, “Can you see the eye chart clearly?” It’s objective -- you’re observing how they interact with an object in space. That’s why it works with dogs and infants as well. 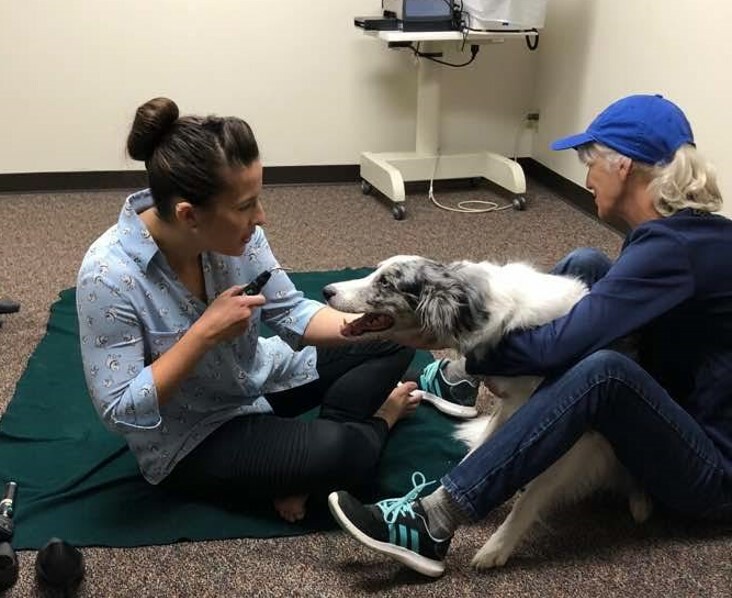 The Vision Therapy Center typically exams people, not dogs, so there was a buzz of excitement in the air when Angela and Prisca arrived. There were also some modifications in the testing. While the staff made an impression on Angela, Prisca was making an impression on patients. Angela recalled when they left, a girl awaiting her appointment was apprehensive about going in for a visit. Dr. Motisi found that Prisca did indeed have a functional vision problem. She was diagnosed with binocular exotropia, which means her eyes were turned outward. You can learn more about eye turns here. Because of the exotropia, Prisca’s eyes weren’t working together, which was affecting her ability to judge the distance to the jumps. The issue may have been caused by Prisca’s birth canal trauma. The breech birth affected the connective tissue on Prisca’s neck and shoulder. Initially, the injury wasn’t a problem. However, as Prisca started to fill out at the age of three and other muscles developed, it became difficult for her to move her neck. We know that limitations in gross body movement can have a significant impact on the development of a human’s visual system. Perhaps the same can be said for dogs. Prisca isn’t the only agility dog who suffers from a functional vision problem. 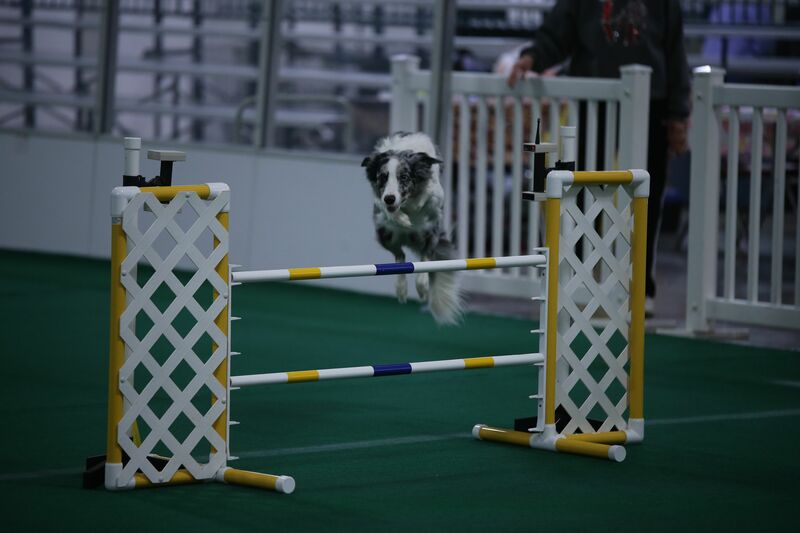 In a study entitled “Vision and Athletic Performance: Data from Agility Dogs,” Dr. Gina Day and her colleagues studied a group of agility dogs. 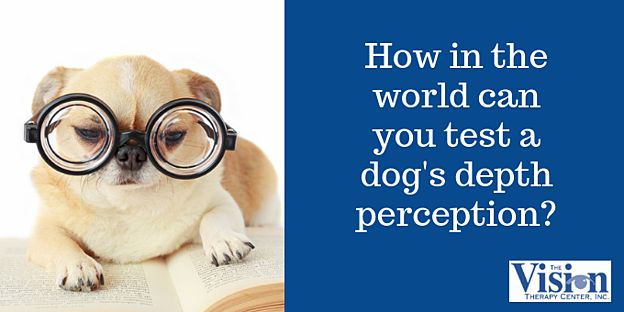 The study showed that out of 190 dogs, 28.4% had binocular vision problems. That closely mirrors the human population, in which the American Optometric Association estimates 1 in 4 people have a functional vision problem. So now that Prisca had been diagnosed, what could be done? People diagnosed with functional vision problems can improve their visual skills through vision therapy. This involves a series of exercises and activities that essentially train the visual system to work correctly. 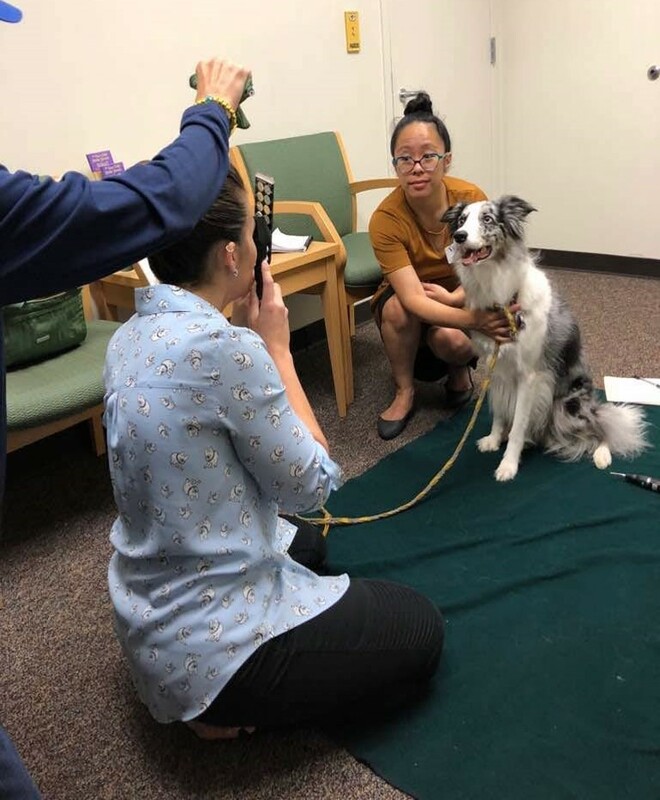 Typical vision therapy won’t work with dogs, but Dr. Motisi did adapt some exercises for Prisca. This included some gross convergence techniques, such as putting a treat on the dog’s nose so she makes both of her eyes converge on the object. It remains to be seen whether this will improve Prisca’s eye teaming, but Angela is willing to try. The idea is to get Prisca comfortable with the jumping area. “Just like with people, we’re making accommodations so the patient becomes comfortable doing the job,” said Dr. Motisi. While Angela is using some of the vision therapy techniques with Prisca, the biggest relief is identifying the problem. “I was told that she could never be bred and she was defective, but I knew in my heart it was birth-related,” Angela said. Dr. Motisi believes Prisca’s story is one parents should take to heart. Because the testing is objective, functional vision problems can be detected in infants and children who may give misleading answers during vision tests (out of fear of being prescribed glasses).